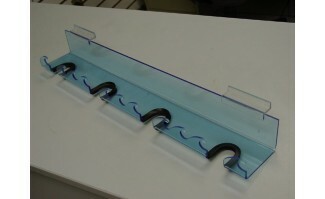 Our fluorescent color acrylic waves really draw attention to your snorkel display. It holds 4 snorkels on our slatwall shelf. Made in the USA.